We are excited to introduce ONLINE BOOKING! You can now book your pets’ appointments online, from the convenience of your mobile device or computer, at any time of day or night. You can do this via the link on our website, or the BOOK NOW button on our Facebook page, or click this link HERE to try it out now. 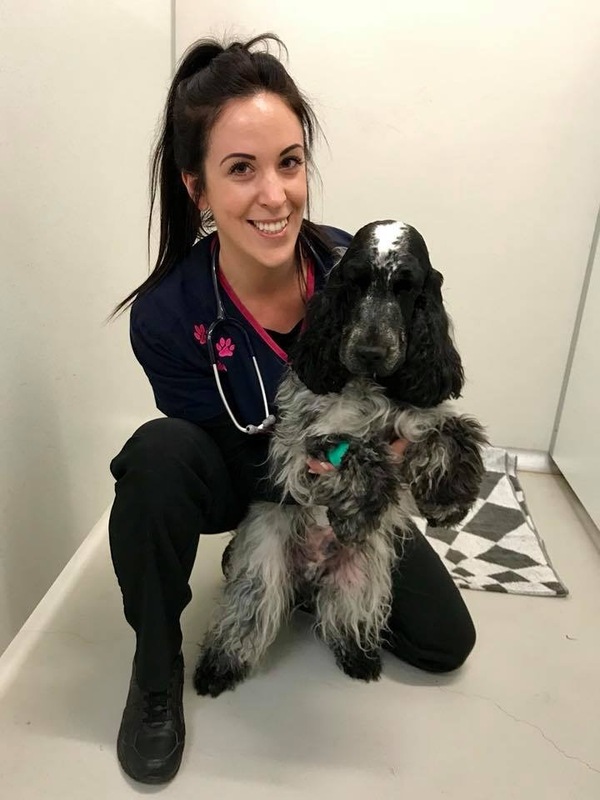 We will still have some appointments available outside of the times listed on the online booking platform, so if these times do not suit, or your pet needs to be seen as an emergency, please call the clinic on 0243845888. We will also now be transitioning to sending reminders for vaccinations and check ups via email and SMS text message, rather than the traditional snail mail system. We hope this will reduce our impact on the environment by reducing paper waste. We have recently upgraded our dental equipment, and now have a brand new state-of-the-art dental radiology suite. Dental radiographs are essential when performing dental procedures, as they can show enamel defects, hidden bone loss and infections under the gum line, before they cause discomfort to your pet. Our new equipment provides high-resolution dental images with a super-fast processing time. We can achieve a full mouth series of radiographs in a matter of minutes. 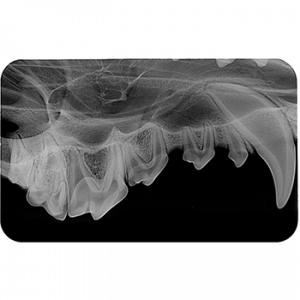 If our vets recommend a dental procedure for your pet, they will most likely also recommend dental radiographs. Ask us about this service next time you are in. 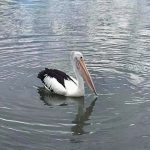 Exhausted to the point of collapse and coated in oil, the suffering pelican climbed the bank of Ourimbah Creek to the safety of a suburban backyard. At a glance it looked like the adult bird was dead, but once residents of the property got a closer look, they saw that he was still breathing – just. 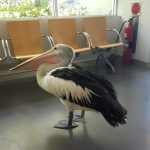 Once Seabird Rescue were contacted, they responded immediately, and the oil-coated pelican, now known as Simon the Brave, was taken into care. 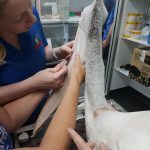 “Initially we thought Simon had botulism [a paralytic disease brought on by neurotoxins] but after further investigation we realised that that wasn’t the case.” Cathy Gilmore from Seabird Rescue told us. Simon was initially treated for shock and dehydration. He was then cleaned. Simon’s carers were deeply saddened at the sight of such a majestic creature, who although in a life-threatening state, franticly tried to preen the thick oil from his body. 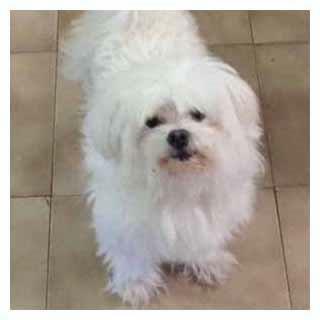 Once Simon was stable, he was treated with antibiotics and parasitic medications. 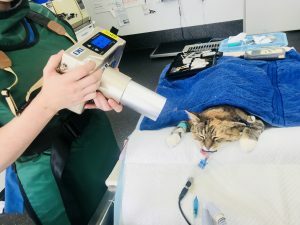 The days following were touch and go for Simon the Brave, but thanks to the ongoing care of committed volunteers and Veterinary staff, Simon’s condition improved. 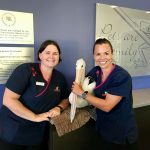 However, before the beloved bird could be released, he required blood testing to ensure that any toxicity he had endured had not damaged his liver, and also that all infection had gone. 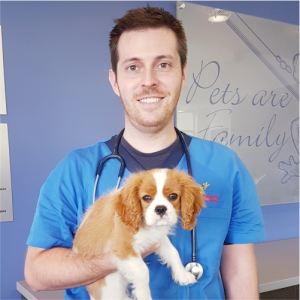 Last week, Simon visited Erina Heights Veterinary Hospital for his final check up and blood test. 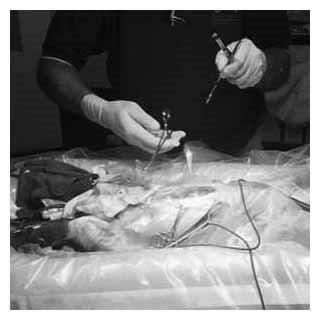 After a thorough examination, Dr Melissa Kozaruk drew blood from Simon’s pouch, and the sample was then sent off to an avian pathology laboratory. “We all fell a little in love with Simon, so the entire team was anxiously awaiting the results of his blood tests.” Dr Melissa said. Thankfully, Simon’s tests came back all clear. And a few days later he was released back into the wild. 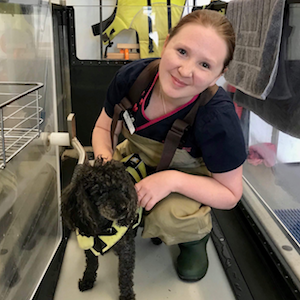 Dr Melissa is confident that Simon the Brave will live a long and healthy life providing he is able to keep clear of toxins in the water and rubbish hazards. We wish to welcome back Dr Holly Boyden, who has returned to EHVH after her maternity leave. Dr Holly will be available for consultations on Thursdays and Fridays, and occasional Saturdays. 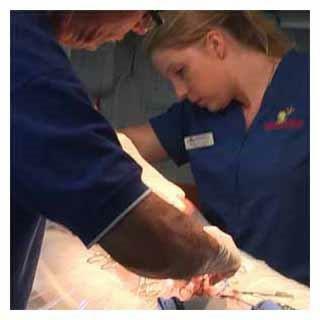 Dr Holly’s interests include emergency and critical care medicine, anaesthesia and complex medical cases. Welcome back Holly! We also welcome Dr Cameron Keller to our veterinary team. Dr Cameron joins us for a change of scenery, after spending his first couple of years in practice in Northern NSW. Dr Cameron is well travelled, originally from USA (can you spot his accent?! ), and graduated from University College Dublin, Ireland. Cameron’s interests include soft tissue surgery and internal medicine. Welcome Cameron! Introducing “Ullr” the cat burglar! 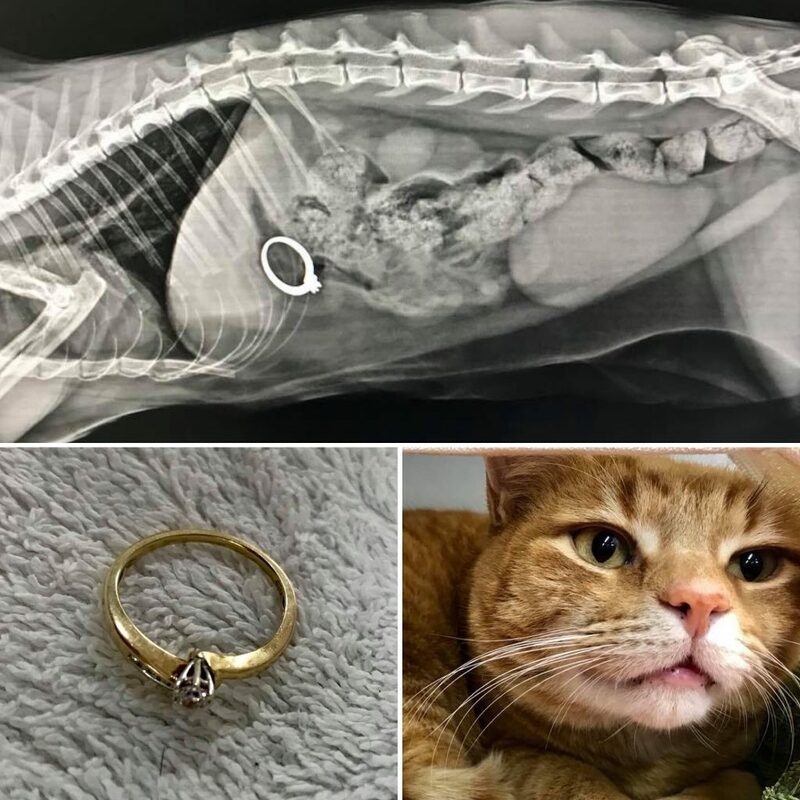 Ullr presented to Dr Laura Piddington after Ullr’s mum suspected that Ullr may have swallowed her precious ring after he was seen to be playing with it and then it disappeared! Dr Laura confirmed via X-rays that Ullr had indeed swallowed the ring! 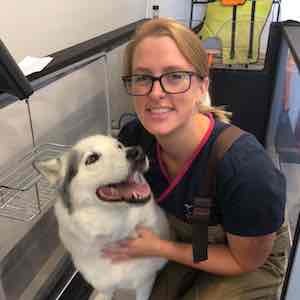 Dr Laura performed an exploratory laparotomy to retrieve the missing ring and Ullr has now made an excellent recovery. Hopefully Ullr doesn’t attempt this party trick again! After what seemed to be the never ending birth of baby boys at EHVH, we congratulate Dr Holly Boyden and nurse Caroline Engel on the birth of their beautiful baby girls! Both babies are doing well. While Dr Holly is on maternity leave, we also welcome Dr Catherine Thomas to the team at EHVH. Dr Catherine did her undergraduate training with us, and has a keen interest in complex medical cases and diagnostic imaging. We also welcome Amanda and Laura to our veterinary nursing team. 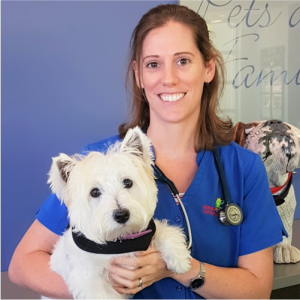 Amanda has extensive nursing experience, having previously worked at a busy vet hospital in the Hunter Valley region. Amanda is also currently completing a Diploma in Emergency medicine. 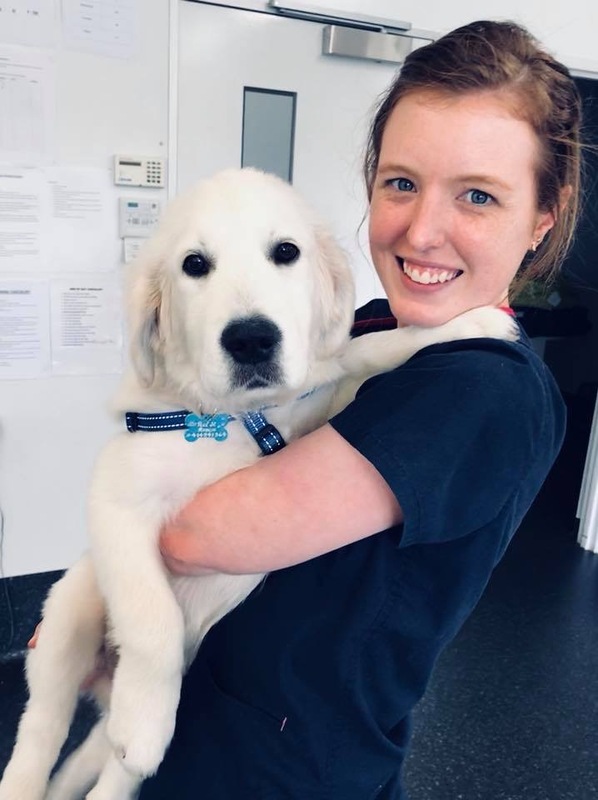 Laura now joins our team after finishing her Certificate IV in Veterinary Nursing, and is also a trained phlebotomist! Welcome Catherine, Amanda and Laura! As you may of heard, our farmers are struggling in the state-wide drought, and their working dogs and pets are also seeing the flow on effects. To support our farmers and their families, we are currently running a fundraising project. We are asking our pet community to lend a hand by donating a bag of pet food or pet care products, and items will be taken to Tamworth on September 22nd, to be distributed to families in need. 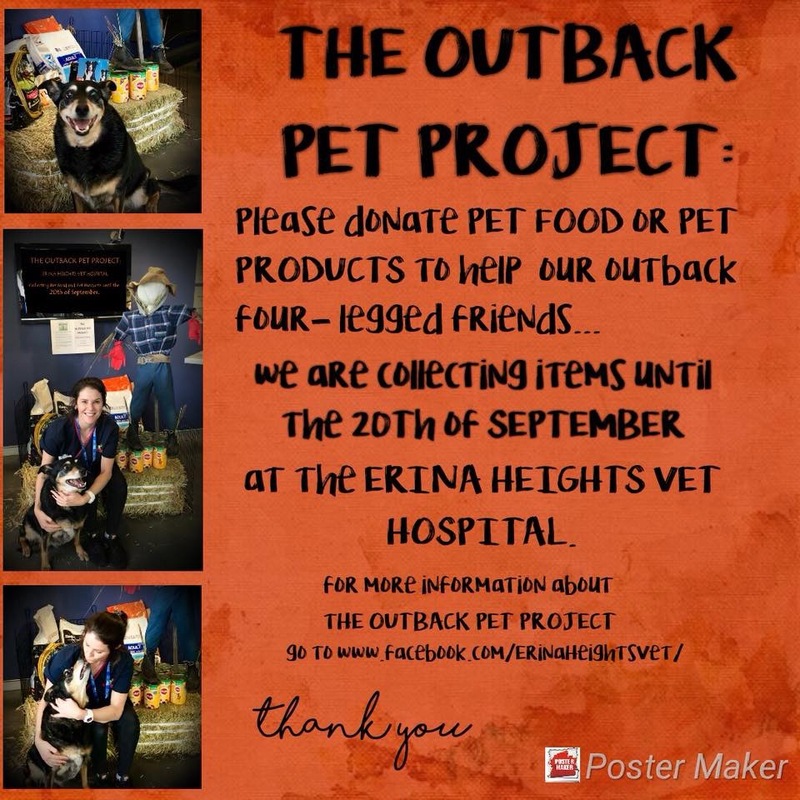 We have exciting news to share for our feline patients at Erina Heights Veterinary Hospital. We have recently completed renovations and are proud to announce the opening of our dedicated feline hospital and surgical theatre. This space provides our feline patients with optimal patient care, away from the sounds and smells of dogs. We have specialised feline monitoring equipment and bedding to keep your cat comfortable during their stay. 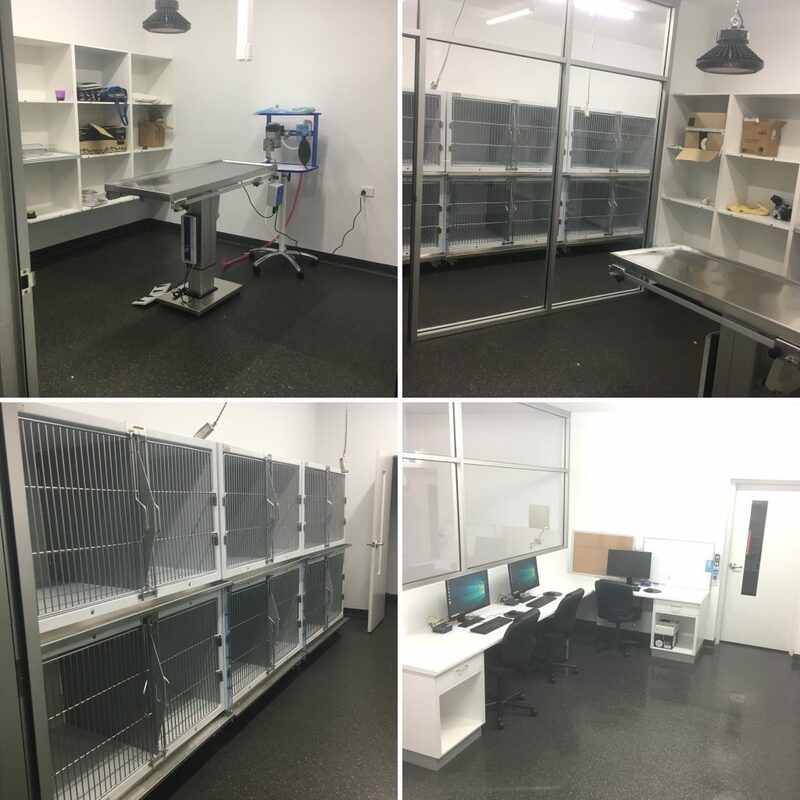 Our growing team of veterinarians also now have a new veterinary office and library. 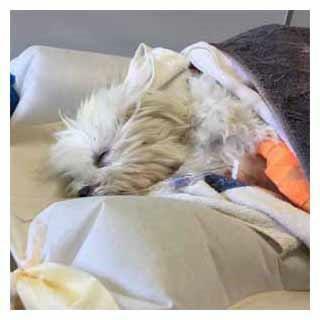 “Lucky” an 11 year old Maltese terrier was referred from another clinic for abdominal ultrasound due to ongoing abdominal pain, vomiting and dehydration. His blood results pointed to liver disease; which in aged dogs can be due to cancer, infections, immune based disease, fatty liver disease, and a blocked bile duct often secondary to pancreatitis. Our ultrasound showed a gall bladder with a particular image suggestive of a gall bladder mucocoele which is rather rare, and certainly offers a better prognosis than liver tumour; but still requires immediate surgery. The gall bladder fills with thick, bacteria laden bitumen like contents that requires a gall bladder removal asap. So “Lucky” had an exploratory laparotomy that same day, with the operation going very well despite the difficulty of access in this tiny patient. Lucky made a prompt recovery and is now back to his best although his mum has to ensure he stays on a low fat diet. 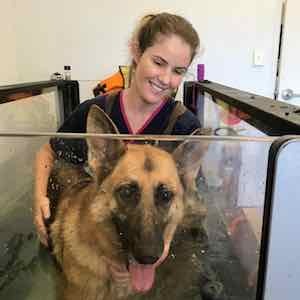 At Erina Heights Veterinary Hospital, we aim to provide a holistic approach to your pet’s care, such as with the provision of our rehabilitation and hydrotherapy services. 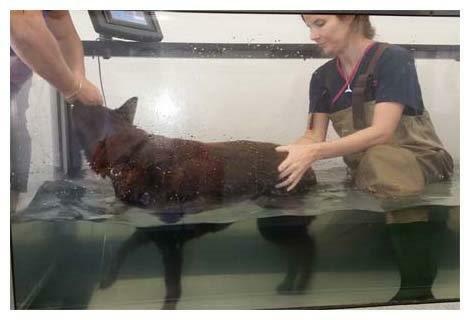 We also continue to get many referrals from SASH animal physiotherapy since their move to Tuggerah recently. If you are interested in applying this treatment to your pet, please give us a call. Subscribe to receive updates from our hospital direct to your inbox! "Caring for your pets since 1976"